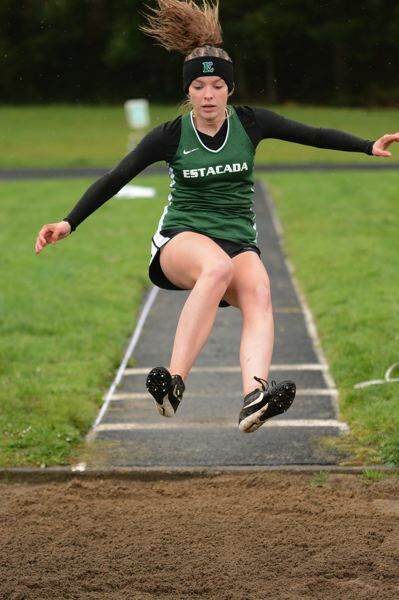 The Estacada track and field team faced little resistance last Wednesday against Corbett and North Marion in its only home meet of the season. The Ranger boys put together a trio of 1-2-3 sweeps and won both relays to fly past Corbett 96-12. Estacada surrendered only two points in the field events, starting fast with Ryan Sandidge leading a sweep of the shot put. He traded the lead a couple times with teammate Hunter Gotchall before getting off a winning heave of 37-feet-1-inch on his final attempt of the preliminaries. "It was just hitting the positions and make sure everything feels right, then really going after it at the end," Sandidge said. Eleven of the duo's 12 throws fell within a shoe print of each other. "In practice it's always back and forth between us," Sandidge said. "We are all in that same range — all trying to break 40 feet." Isaiah Schaffer rounded out the sweep in third place more than a foot ahead of the rest of the pack. Schaeffer won the javelin with a personal best of 152-2 and also had the top mark in the discus (118-7). 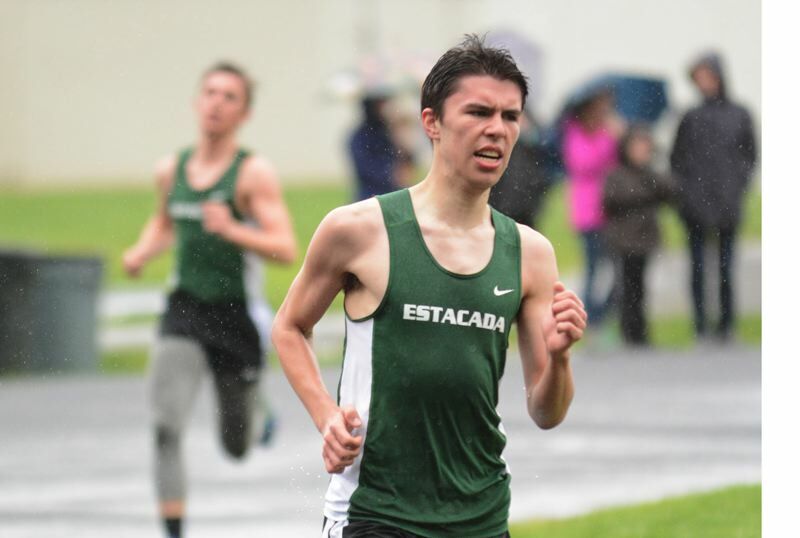 Estacada also dominated action on the track with Lewis Bever pacing the early laps of the 1,500-meter race, while Connor Bouck paced alongside Corbett's Inigo Diego over the first half mile. Bouck made his move at the bell lap, surging into the lead, and the Rangers combined for a 1-2 finish about five strides ahead of Diego. Bouck won in 4:51.80. Bever won the 800 (2:24.15) later in the day. Estacada defeated North Marion 103-9. The Estacada girls also pulled off a sweep, winning the closest dual of the day 68-42 over Corbett. The Rangers picked up 22 uncontested points in the jumps where neither of the other schools entered an athlete. Peyton Dyson doubled up in the high jump (4-4) and triple jump (29-8). The Rangers picked up a pair of 1-2 finishes on the track with Cheyenne Abbett and Lily Avants in the 1,500 (5:39.55) and Elana May and Haleigh Ficek in the high hurdles (17.94). Estacada defeated North Marion 94-10. This story is slated for our April 18, print edition.